BioAmber Inc. (the "Company") (OTCPK: BIOAQ) announces that following a Court order issued on August 28th, 2018, the stay period ordered by the Court in connection with its restructuring process under the terms of the Companies' Creditors Arrangement Act has been extended until September 18th, 2018, in order to give enough time to the Company, along with its monitor PricewaterhouseCoopers ("PWC"), to carry out the recently initiated liquidation process. As a result of the liquidation process, all of the directors and officers of the Company and its subsidiaries have resigned, leaving PWC to oversee the process in its role as monitor, under the supervision of the Court. There can be no guarantee that the Company will be successful in securing an acceptable offer in connection with the liquidation of its assets. Moreover, if an acceptable offer is received, the liquidation of the Company's assets will almost certainly result in no residual value for non-secured creditors and equity investors. 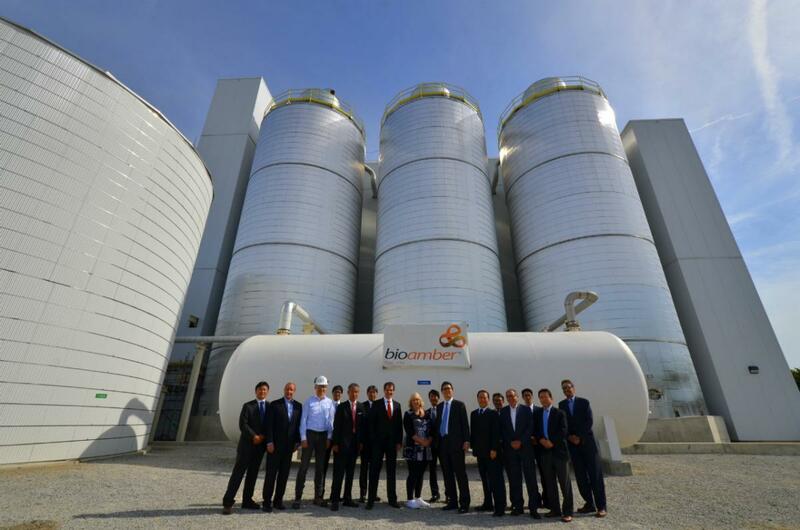 BioAmber (OTCPK: BIOAQ) is a renewable materials company. Its innovative technology platform combines biotechnology and catalysis to convert renewable feedstock into building block materials that are used in a wide variety of everyday products including plastics, paints, textiles, food additives and personal care products. For more information visit www.bio-amber.com.